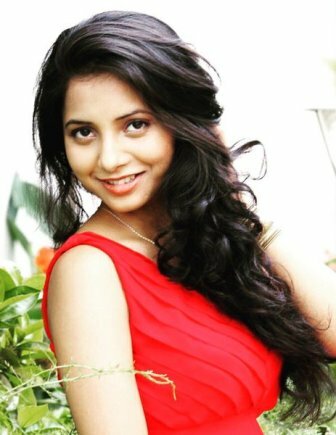 Sayalee Sanjeev is among the young, talented and emerging actress in Marathi cinema. She was born and brought up in Dhule District in Maharashtra on 31st January 1993. She did her schooling from Dhule and college from Nasik doing her arts degree. During her college days, she was active in cultural activities wherein she also got the chance to do modeling staying in Nasik. She also participated in some fashion shows, which helped her to enter the modeling world. Some of her modeling assignments include Swarovki Gems and Dentzz, for which she was walking on the ramp at the SNDT College. Sayali also did the commercial at TV for Quikrr.com and one matrimonial site. Soon she shifted to Mumbai to pursue her dreams in acting wherein she got the chance in Marathi Films, which include Police Line, Alibagh Bypass, Atpadi Nights and Police Line in small and supporting roles. However, her major break came in the form of a film called Kahe Die Pardesh, which is all set to release soon. The film showcases two cultures in it including Marathi and one from Varanasi made at tha backdrop of housing society wherein these cultures are prominent. Apart from the Marathi films, she has also done other regional movies including Bengali and some south Indian films as well. She was also seen in B Town films in smaller roles giving decent performances here. With hard work, she is an emerging first choice for today’s young generation. Tu kup chan distes sadhepana hach tuza (+) point ahe. XEROX COPY OF NIVEDITA SARAF.. Your mother also smiles in the same way? U r looking like a angel which always coming on my dreams.u looking beautiful. Same nivedita Joshi …like …ur smile so qute..really I like your acting and ur beauti so…pure…! All the best sweet Doll !! It’s marriage scene, not seen understand? kharach tu nivedita saraf yanchya sarkhi diste, ani avaj sudhha same ahe .jevha tya tujhya vayachya hotya tevha. Same xerox copy. Tu jithe rahat hoti me pan tithech rahato .tyach nagar mdhe .dhule.